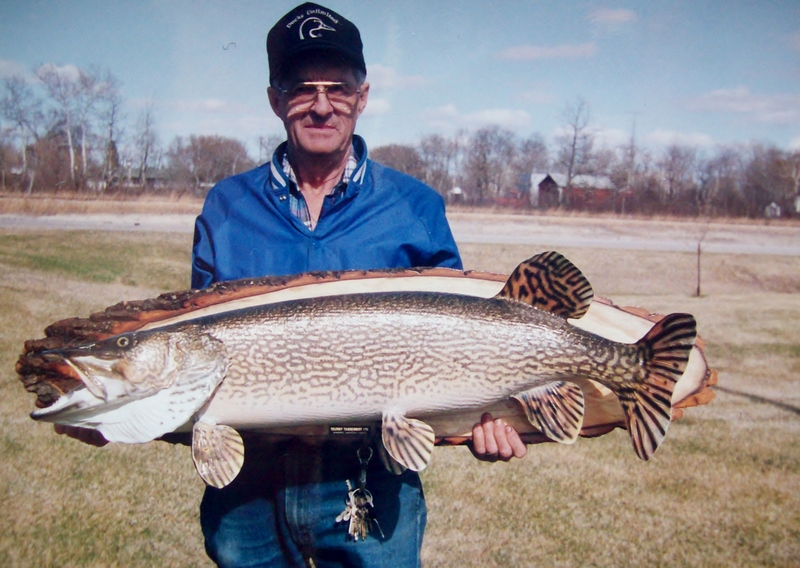 This big Northern Pike , (35 lbs 46”) was caught at the headwaters to the mighty Nelson River. It is this Nelson River where our bear hunts are offered. All along its shore lines and its tributaries offer excellent fishing as well . And the fishing is FREE, when you book a bear hunt with Blue Rim Outdoors . A licence is available (at your cost) within 5 minutes locally, then you can be fishing for free 10 minutes later. Plenty of walleye, northerns and brook trout are waiting for the fisherman /hunter right close to camp. Get up for coffee and breakfast, go fishing, eat your catch for lunch and then go bear hunting. A regular meal is provided but at your option you can eat the fish you catch. How much better can it get!!! !